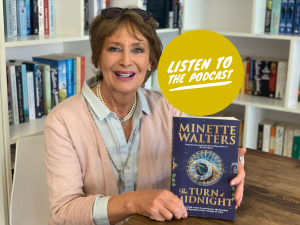 This week Cheryl Akle is joined by critically-acclaimed crime fiction author Minette Walters to discuss her latest novel, The Turn of Midnight. Together they talk about Minette’s shift towards historical fiction, and how she has developed as a writer over the span of her career. Minette Walters is England’s best-selling female crime writer. She has won the CWA John Creasey Award for best first crime novel, the Edgar Allan Poe Award for best crime novel published in America and two CWA Gold Daggers for Fiction.